I am so excited about this new client chair! I am someone who gets weekly manicures, and while it is simple and quick, it is a little luxury that I enjoy. Which is why I am super excited about this new chair! 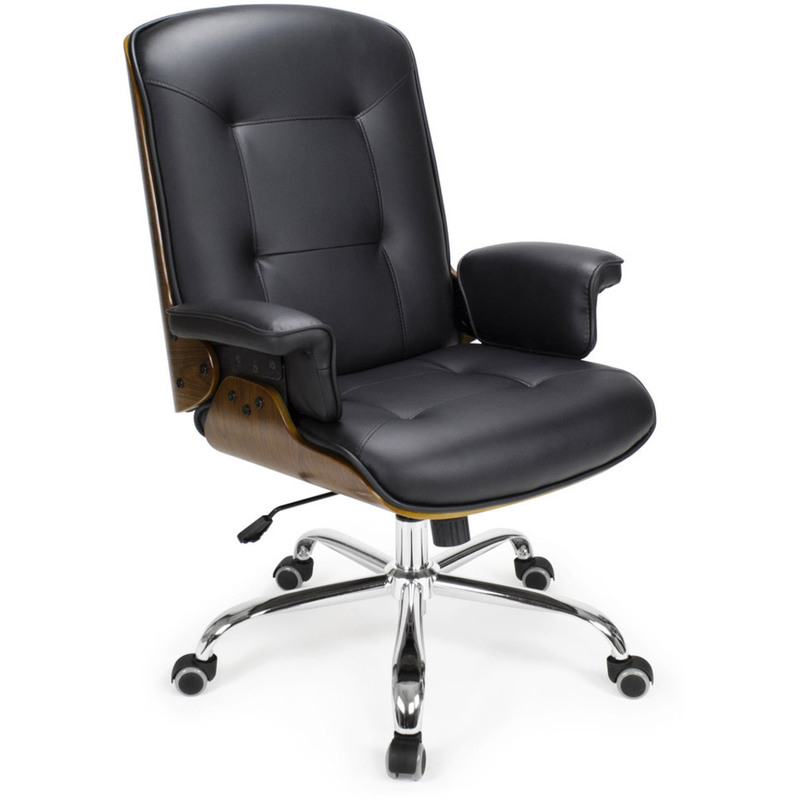 The Anouk Client Chair is made with smooth, vinyl-leather combined with a chrome 5-star base and armrest supports. It is so hard to find a beautiful, luxurious client chair lately. 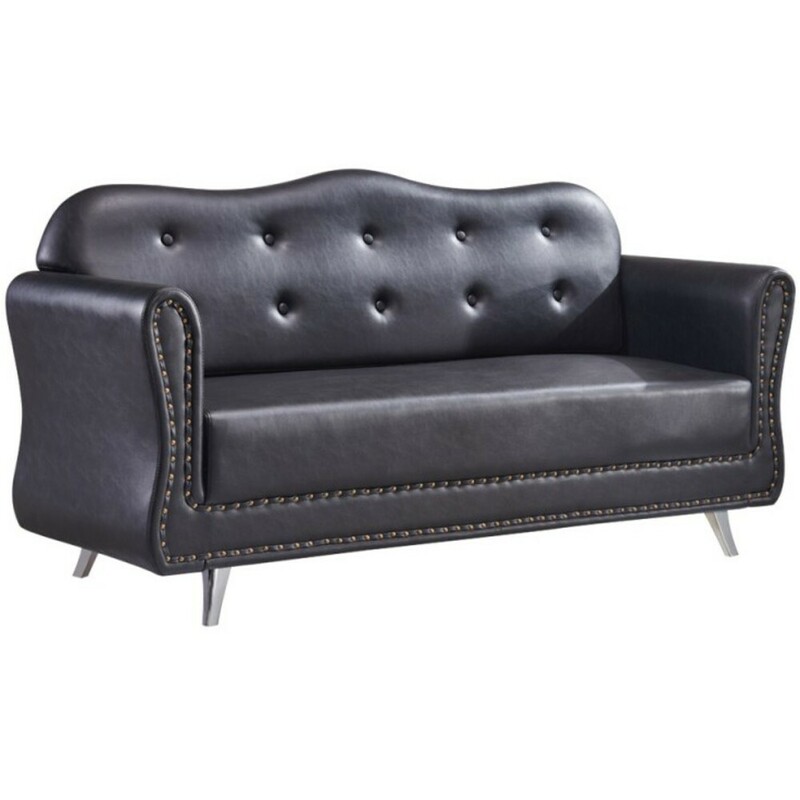 This is a sleek and comfortable chair to perfectly match your nail salon decor! Doesn't it look simply amazing? Pro Tip: Try adding a heated Sposh Minky Herbal Neck Wrap during the service, and offer a 10-minute massage as an add-on service. A little luxury goes a long way, and will set you apart from your competition! Personally, the feeling of warmed massage oil is one of my favorite things. As a massage therapist with perpetually cold hands, having warmed oil was a need. There is nothing worse for a therapist and the client, than a cold hand to start the massage. It's startling to the client and kills the relaxation process before it starts. Something as simple as an bottle warmer like the ProMaster Massage Oil & Lotion Warmer can make all the difference in the world clients. Even if you don't suffer from cold hands, many clients will simply love the feel of warm oil on their skin! It's no secret client comfort is key. You've put time, money and thought into everything from the treatment tables to the aromatherapy choices in your space. It's also no secret that it is the little things that can have a drastic impact on client satisfaction. Something seemingly small can be what makes a client stick with you over your competition and you may never even know. While herbal eye masks are generally thought of as a comfort or "nice touch" to offer with services, for a person with light sensitivity or eye issues/discomfort, it can be a game changer. 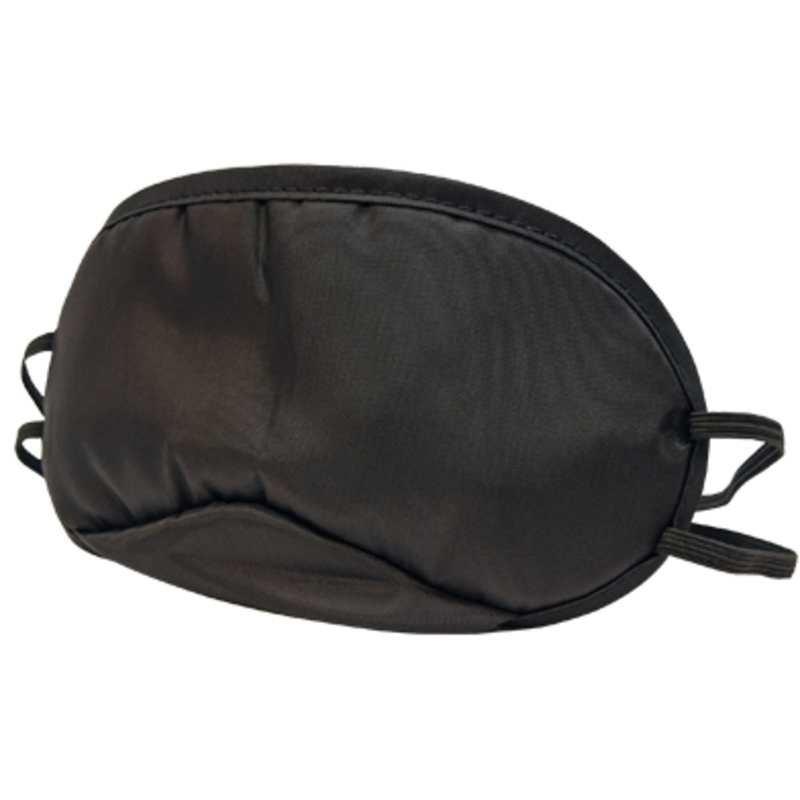 For less than a dollar, you can offer something like the Satin Eye Mask by Scalpmaster for a client to use during many different services (some you may not even think necessary to offer!) and you may just be taking the service to a level you never dreamed for that client. They may feel awkward or uncomfortable making a request for a "sleep mask" or not know it could be an option. You don't even need to go into anything more than "would you like an eye mask for added comfort and relaxation?" to give them an option! As a perpetually cold person, having someone touch my skin with cold hands is startling and uncomfortable. Any time I received a massage and the therapist had cold hands, that was the last time I went there. Harsh, I know, but true. That initial jolt of cold when the opening effleurage started, would amp every nerve in my body up and I would spend the rest of the time trying to get back to a relaxed state. It ruined the massage for me. 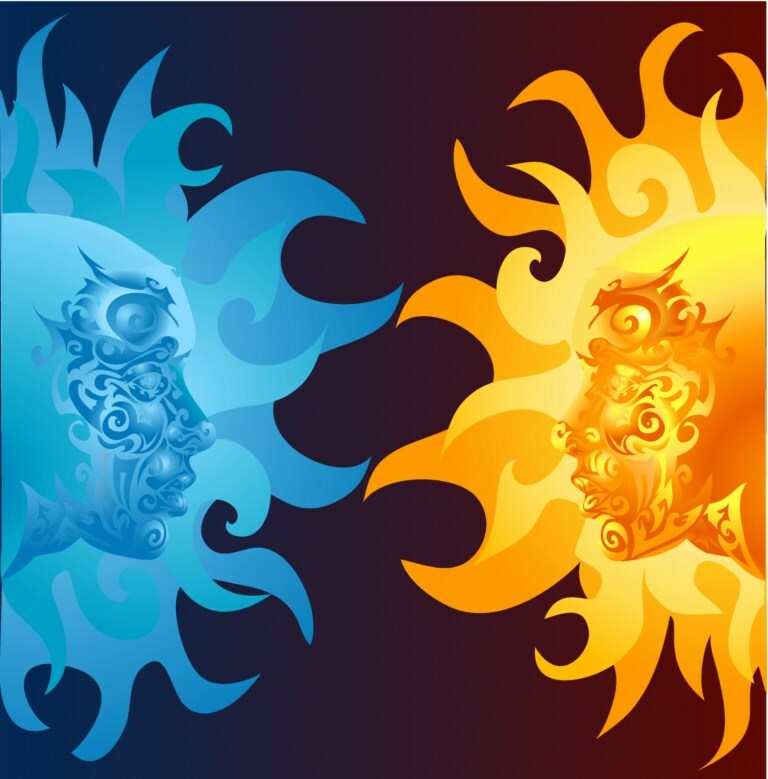 Do you have clients who are sensitive to cold? Are your clients coming in for any sort of treatment that may cause relaxation? Do you simply want to provide the most comfortable and memorable experience for each of your clients? Bottle warmers are such an easy and effective way to keep lotions and oils at the perfect temperature to have your clients breathing sighs of relief the moment it hits their skin. From single bottle warmers all the way up to four bottle capacity, you'll always be ready to go. Have you seen our newest salon chairs? I am loving the "shabby chic" vibe! 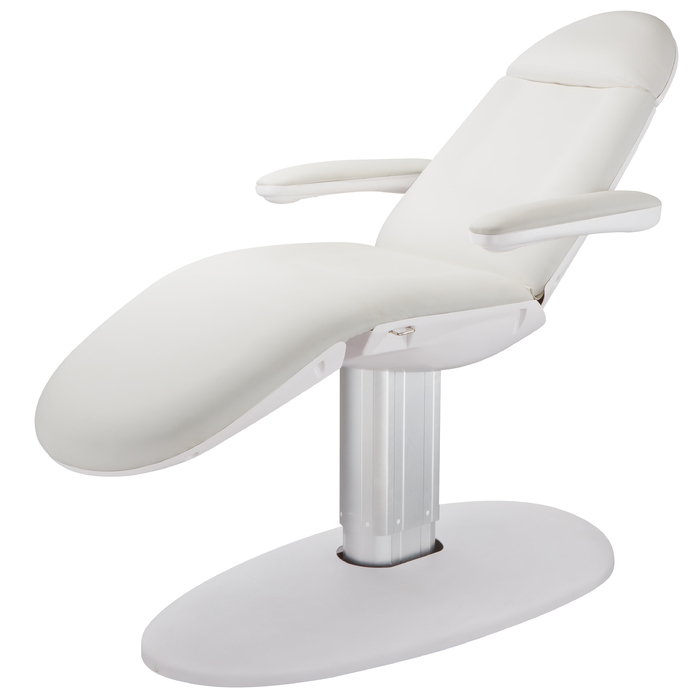 Comfort is waiting for your client... the Sofa Salon Chair will become the star of your salon! 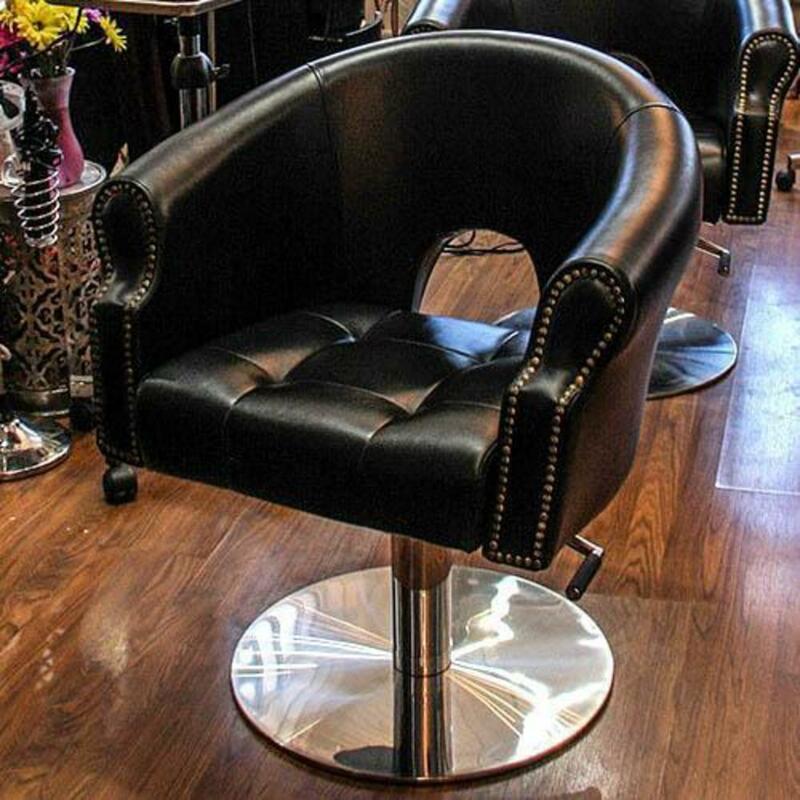 This fabulous KI New York chair is a classy addition to any salon setting. The firm seating keeps your guest comfy during lengthy hair services and contains a small back opening for air flow. Optional Highland Pump upgrade, Made in the USA! Optimal longevity holding up to 350 lbs! It's been an Indian summer here in New York. Today is the first day that we can feel a hint of fall, which makes me think of being warm and cozy. What are you currently using to set this vibe in your business? I can't really think of anything more relaxing than sitting around this in a chelour robe or blanket, drinking tea. If you're looking for something larger or something smaller, we have all the options! The Experience Lounger by Living Earthcrafts will heighten a client’s spa experience and transform a nondescript lounge area into a revenue generating, satisfaction center. Features a cozy, fully adjustable, Strata™ 3" Memory Foam Cushioning system to cradle clients in luxury, while its activity console comes complete with a dimmable reading lamp, a surge protected power outlet for i-Pods, televisions or laptops, and a notched Avonite service area for food, drink, and other items. 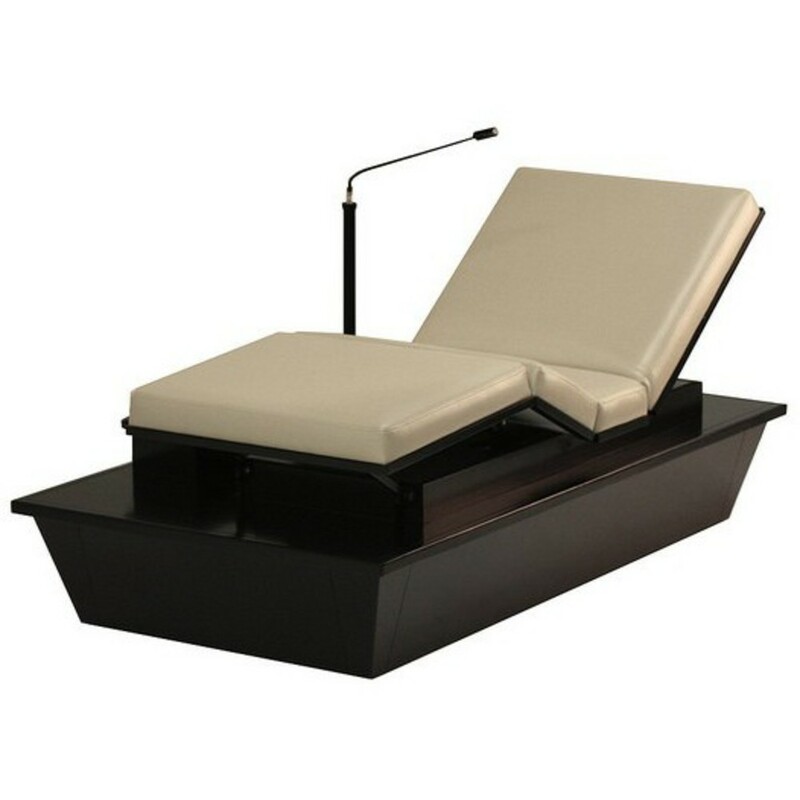 In addition to being a perfect personal relaxation space, the Experience Lounger is great for manicures, reflexology treatments and acoustic resonance therapy, the latest innovation in spa treatments. Shown with Lamp and Activity Counter mounted on "right". Also available with Lamp and Activity Counter optionally mounted on the "left." Shown with optional Laptop shelf. Take your lounge area to the next level, and make your spa somewhere for clients to get comfortable! Want to provide ultimate comfort for your clients during your services? It may be time to upgrade your bed, and I have the bed for you! Take a look at the Krista 3 motor electric beauty bed by silver spa! The Krista 3 Motor Electric Beauty Bed has a clean minimalist design with very comfortable cushioning that is nearly 3.5" thick. The Krista is powered by 3 motors that control the height, the backrest angle, and the seat inclination movement. This bed is both aesthetically pleasing and amazingly versatile - a phenomenal addition to any treatment room! 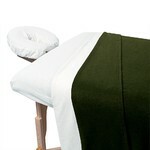 This bed is made to keep your clients comfortable and allow you to do your job as efficiently as possible. 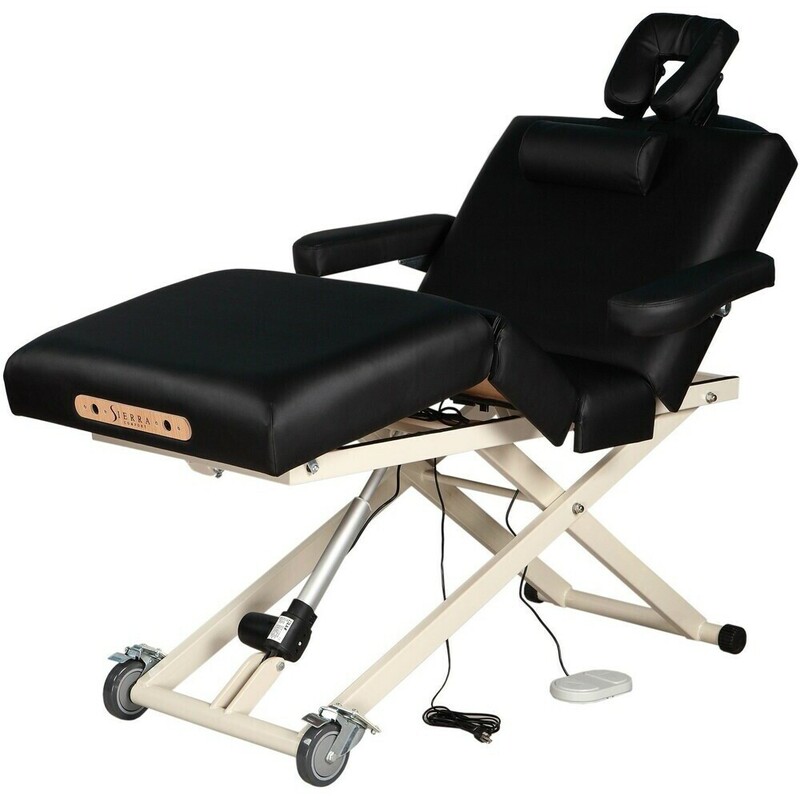 The Krista is contoured to the body for extended treatments, with a contoured seat to keep from sliding, and has an extra inch of foam for lower back support! Unlike most beds (which tilt 10-12 degrees) Krista's tilt will allow almost 20 degrees so you can get the client's feet above their head for treatments. Has 3 motors that automatically control all movements (height, backrest, and footrest). With the ability to manually raise the foot rest too! Ready for a bed upgrade? Your clients will not be disappointed, which means you won't be disappointed! Have you ever gone to a spa or salon excited for your upcoming service only to be sat in an uncomfortable or dated reception furniture? You want your clients to feel 100% pampered and appreciated, having a waiting area that does not match the level of services you offer, makes a difference to clients. DIR Waiting Bench Montagne II - clients who offer any sort of service involving lips...this is for awesome! DIR Waiting Bench Tetto - modern and sophisticated! Take a look at all the different waiting bench options here! 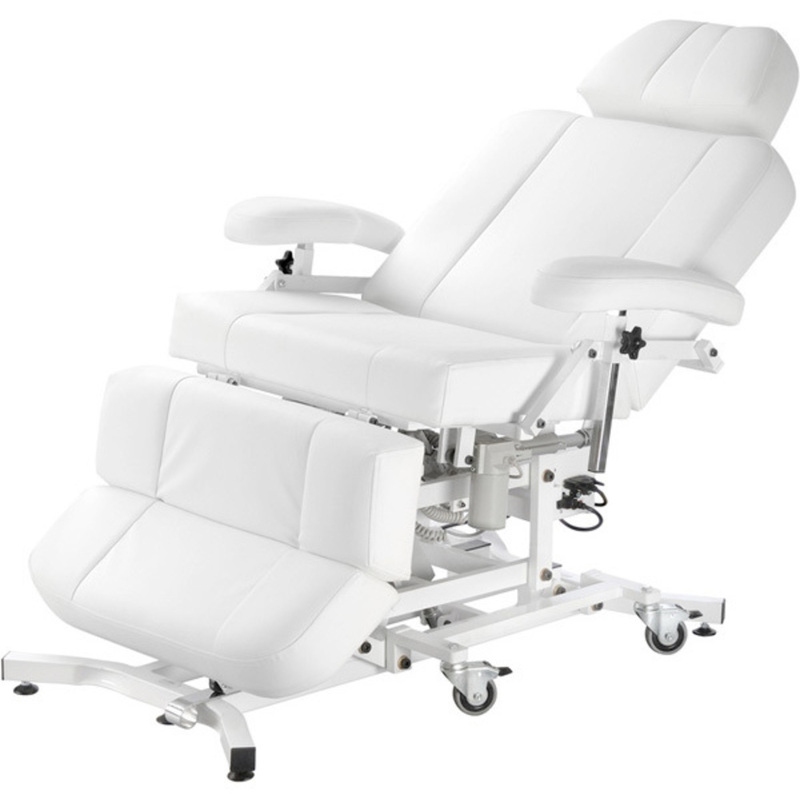 With comfortable reception furniture, your clients will gladly "take a seat" while waiting for their treatments! The BEST Hand / Arm Rests for Manicures?! You should strive to provide the best customer experience from A-to-Z... and a great place to start is client comfort. 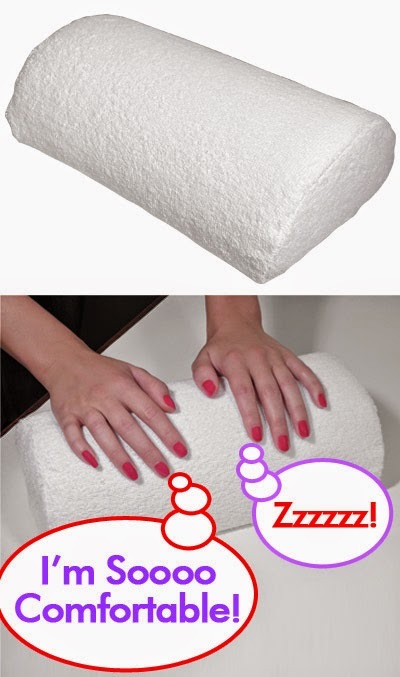 Pure Spa Direct just added some terrific - yet affordable - new Deluxe Terry Cloth Client Arm Rest For Manicures. They feature a nice half/round shape and a Removable / Washable Cover. 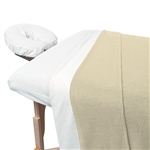 These Terry cloth arm rests provide comfort and support for your clients' arms, hands, and wrists. They are an essential for ANY manicure station. Removable cover with Velcro closure make it easy to clean. Sometimes it is the little details that set your services apart from your competitors and adding the Deluxe Terry Cloth Client Arm Rest For Manicures to all your mani stations will help you do just that! Clients come to your spa to be pampered. To be pampered, you need to make them comfortable. Part of being comfortable is being cozy warm, not chilled. A great way to ensure that comfort is with high quality / cost effective Polar Fleece Blankets for your treatment beds. These awesome blankets are made from a generous 230gsm material for client comfort and warmth. They are machine washable, durable and long-lasting for commercial use and come in 5 great colors to match or accent your decor. 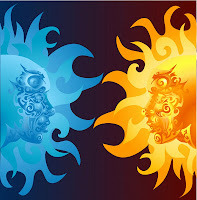 Keeping Your Client's Cool....During Treatments! Now that the weather is warming up pretty much everywhere, you want to make sure that your clients stay comfortable during their treatments. Regulating temperature is not an easy thing. Some people run hot while others like myself, are always freezing. For those of us who freeze, walking into a room where the air conditioner is blasting makes it hard to be comfortable enough to enjoy the treatment. What can you do to keep everyone happy? The best thing I've seen so far, is keeping the rooms at an average of 60-65 degrees and having items available for the client to either keep warm or stay cool. For those clients who are always cold, check out some of these great products to keep them from turning into popsicles. 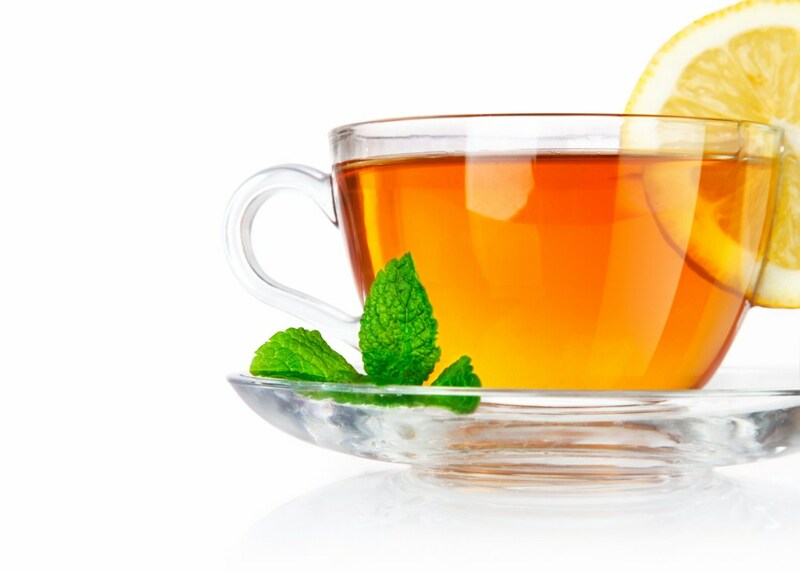 Another nice treat that your clients will appreciate is having some nice hot tea or something cold to drink either while they wait or during certain treatments. We have a WIDE variety of great teas to choose from as well as dispensers and cups! If you don't already have one to accommodate cold/frozen items, check out our cost effective selection of refrigerators! As always, your client's comfort if a top priority to ensure they fully enjoy the services you are providing. Plus, people always remember the extra little things a business does for them! Warm Fingers are Happy Fingers! Few things make me more uncomfortable than being cold. Most spas and salons pay careful attention to this detail with warming blanks in treatments, checking the water temperature before a hair rinse, etc. Somehow though, the warm comfort idea escapes many manicurists. Manicure dishes ofen have cool water in them, lotions are not often warmed, acetone and solvents evaporate and make the skin cold too. Brrrrrrrrrhhhhh!!! There is a simple solution though... for UNDER $3!!! The Deluxe Warming Manicure Bowl by DL Pro is soooooo simple, but soooooo effective! Specially designed for warming water, lotion, cuticle oil or acetone. The bowl consists of two parts, the outer container and the inner manicure bowl. The outer container is filled with hot water then locked into place to prevent leaking. Heat from the hot water warms up the contents of the inner bowl --water, lotion, oil or acetone -- anything that is in the well of the inner manicure bowl. Soooooo Nice!!! Ergonomic comfort design contours to the hand. Measures: 4-1/4"L x 3-1/4"W x 2"Deep. Pretty neat, eh? Make your clients happier for less than $3. Order a Deluxe Warming Manicure Bowl by DL Pro for every manicure station today!